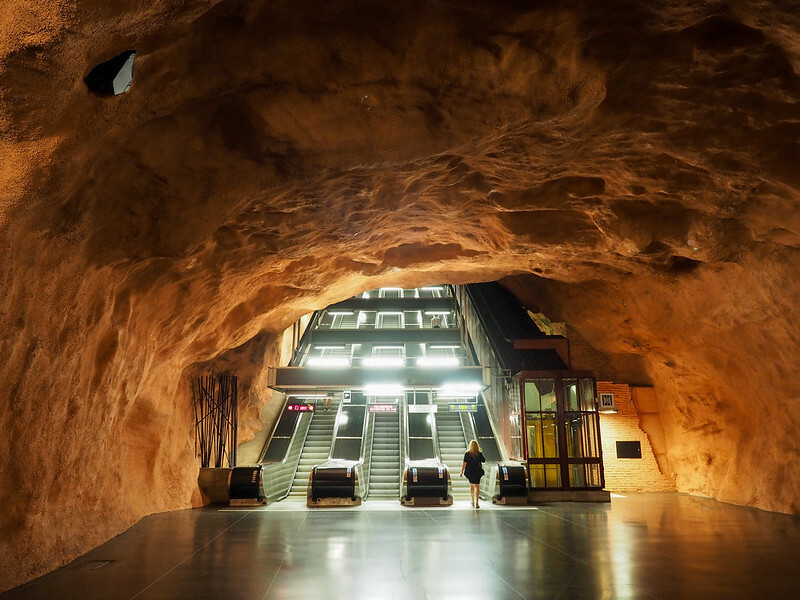 If you're going to Stockholm, be sure to set aside some time to spend underground. This may seem like strange advice, especially in a city that's as visually appealing as Stockholm. But I promise that there's a good reason for you to spend some time underground. 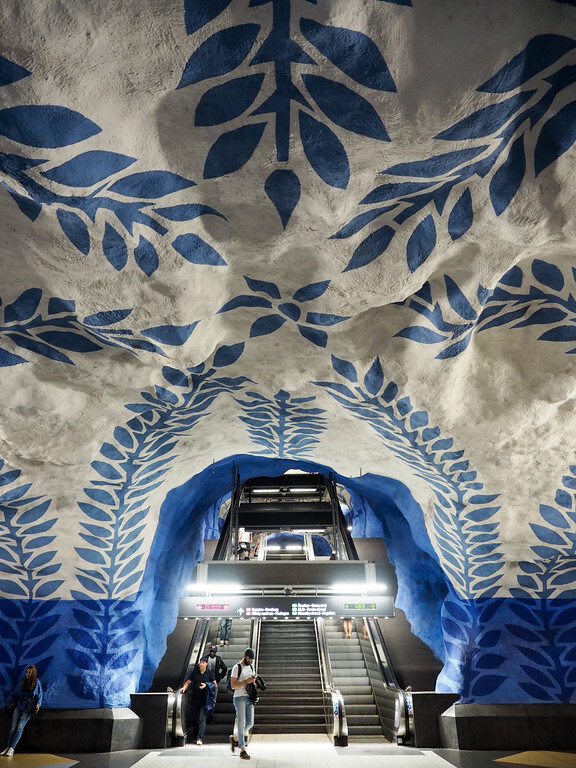 And that reason is Stockholm's art-covered subway stations. 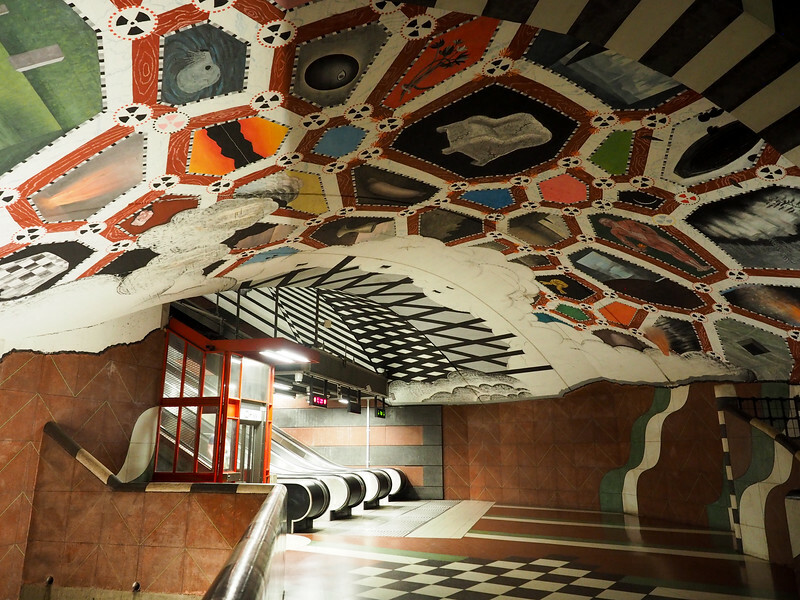 There are 100 subway stations on Stockholm's Tunnelbana (T-bana), and roughly 90 of them have some sort of artwork in them – making the Stockholm subway system one of the longest art exhibits in the world. While some stations may only have sculptures or engravings or the odd mosaic, others are completely decked out in striking murals and paints. 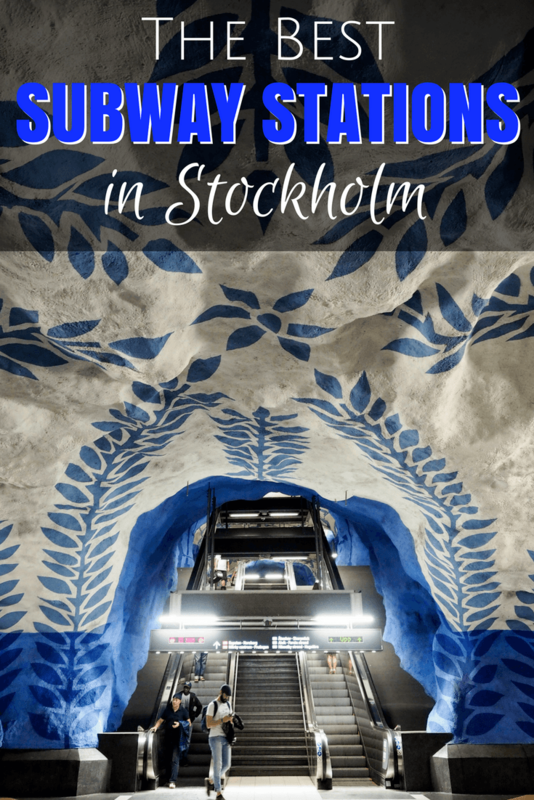 After spending some time in Stockholm hopping from station to station, here are my picks for the best subway stations in Stockholm. T-centralen is Stockholm's Central Station. It's where all the lines in the city converge, and also has some of my favorite artwork. On the red and green line platforms, you'll find a wall covered in colorful glass prisms. Glass prisms on the green/red lines. 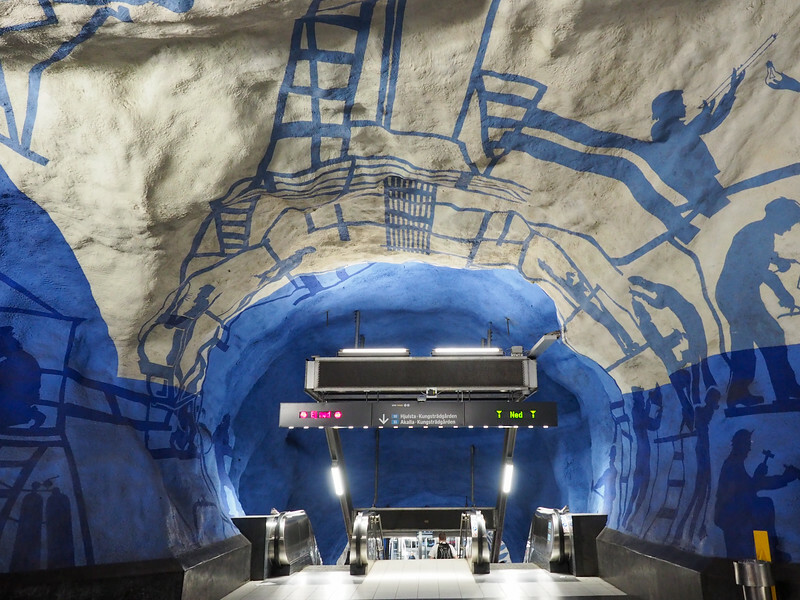 And down below on the blue line platforms, you'll find a series of white-and-blue murals. On the upper level are silhouettes of workers – welders, carpenters, steel workers, engineers, miners – to honor the men who built the subway. Below, where the trains are, you'll find a vine motif that looks like it's growing up the walls and across the tunnel ceiling. I won't lie – I went back to this station more than once for photos! Chances are you may have seen photos of this station before. 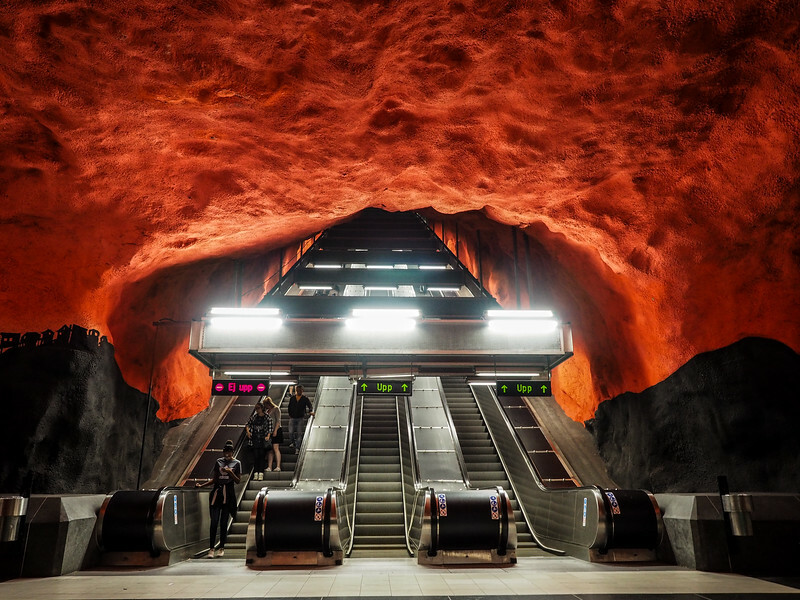 One of the escalators leading down to the trains at Solna Centrum has been nicknamed “the Gates to Hell” because of the assaulting red and black paint. Does this look like “the Gates of Hell” to you? Elsewhere in the station, you'll also find green trees and various animals. You've likely seen photos of this station before, and I definitely do think it's one of the best subway stations in Stockholm for photos! I'm not sure you could go to this station and not be happy. The main color here is a sky blue, and there are rainbows everywhere – including one massive one stretching across the tunnel in between platforms. 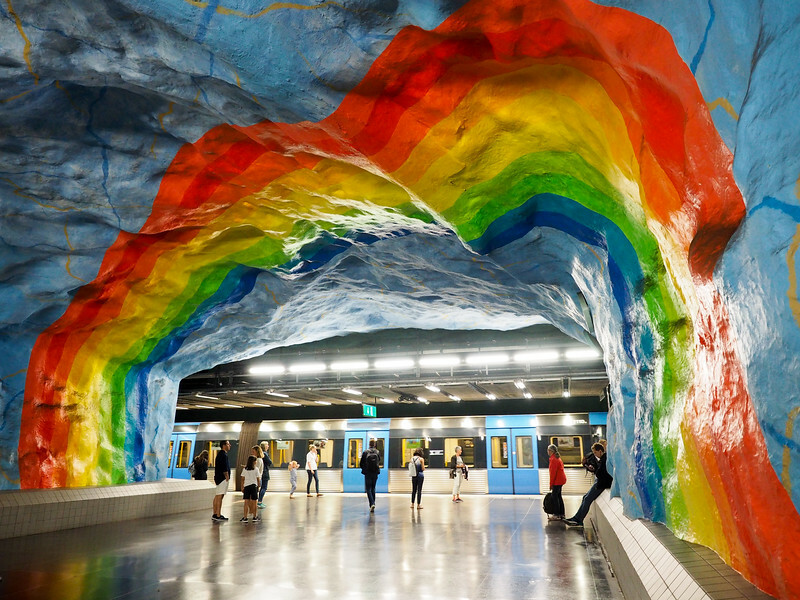 The artists, Enno Hallek and Åke Pallarp, designed the station to commemorate the 1912 Stockholm Olympics (the rainbows represent the Olympic rings). And even though Solna Centrum might be more “famous,” I think Stadion was actually my favorite Stockholm station to take pictures of. This station – the King's Garden – is painted in greens and reds and checkered patterns. Along with the bright colors, you'll also find a mini archaeological museum here (near the Arsenalsgatan exit) with Roman columns and stone sculptures. The items are remnants from Makalös Palace, which once stood above where the station is today. 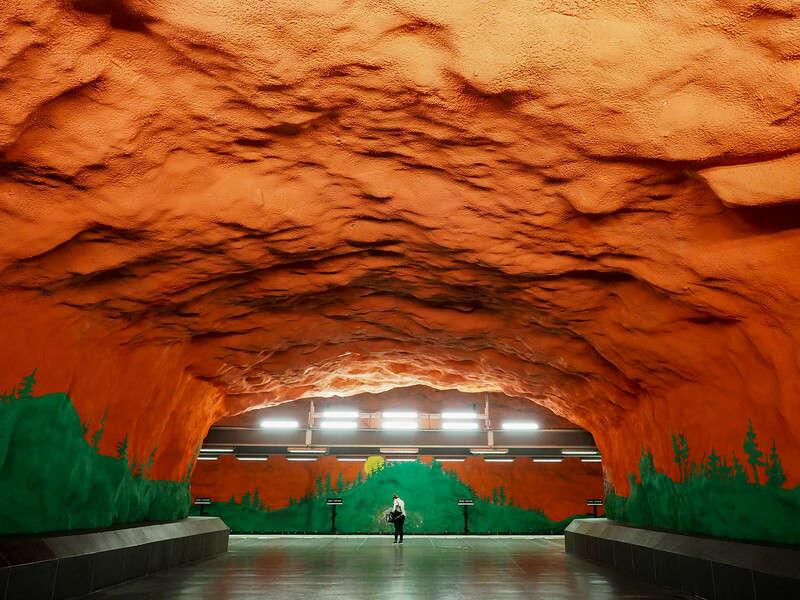 Stockholm's City Hall station is very cave-like, with reddish-orange walls and a nod to the courthouse above with large cement pillars. My last stop was at Tekniska Högskolan, which is home to a few sculptures and some ceiling artwork. 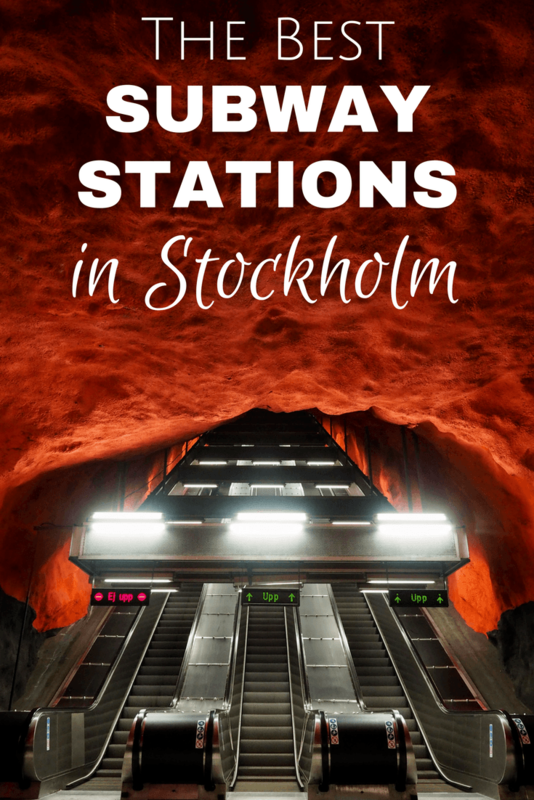 While these are my picks for the best subway stations in Stockholm (and certainly the most photogenic ones), these are of course only a handful of them! 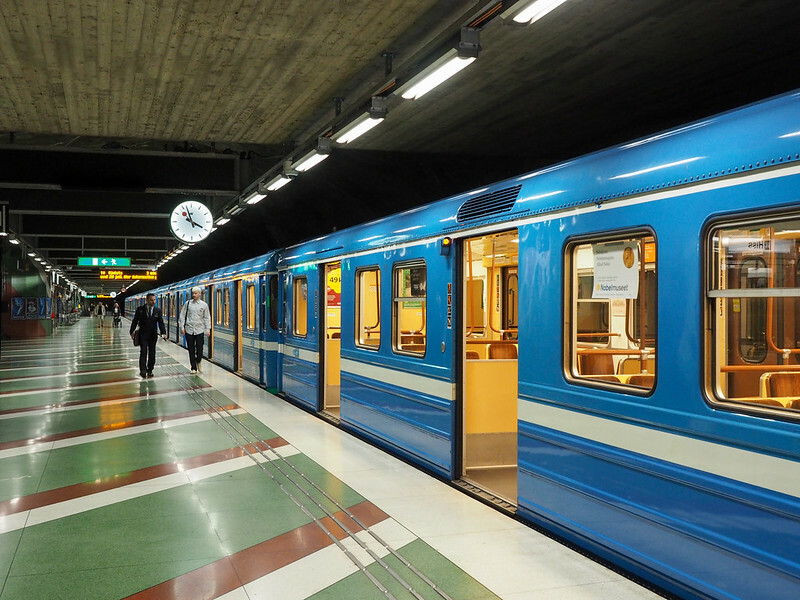 How to do it: A 24-hour pass on the Stockholm metro costs 120 SEK ($14.75 USD), and a 72-hour pass is 240 SEK. (These passes also work on buses and ferries in Stockholm.) A single metro ticket purchased from a ticket machine runs 43 SEK ($5.28), and is good to use as much as you want for 75 minutes from purchase. You could definitely fit in a few of these stations within 75 minutes if you don't plan to use the metro enough to warrant buying a travel card. 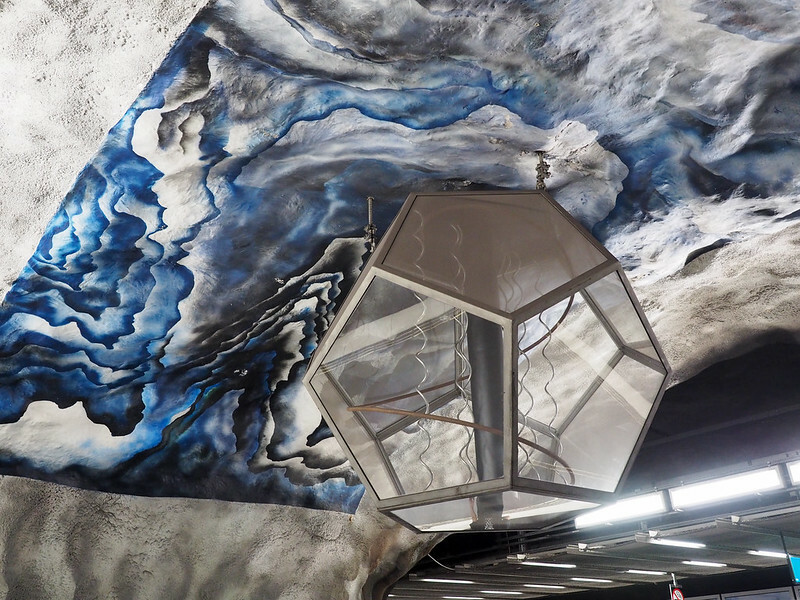 There are also free tours of some of the metro station art in the summer. 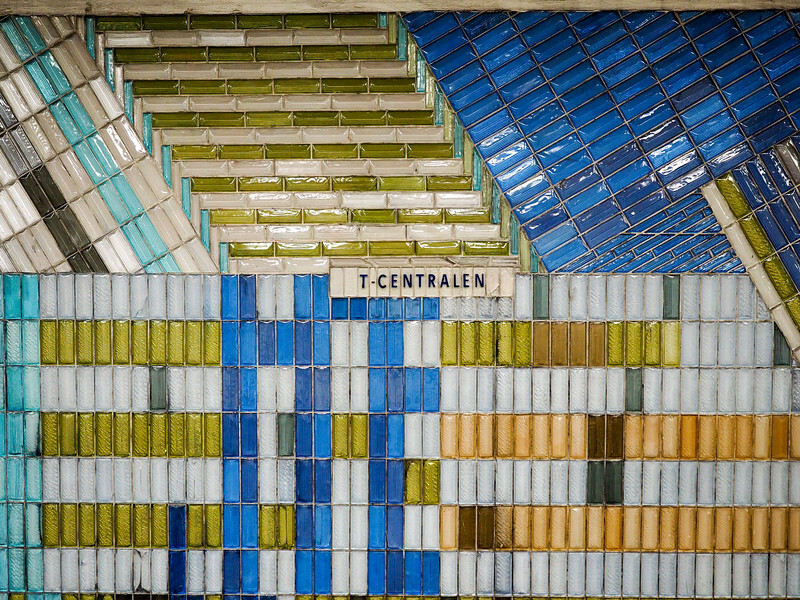 From June to August, there are guided art walks in English every Tuesday, Thursday and Saturday, starting at 3 p.m. from SL Center, at T-Centralen Metro station (entrance from Sergels torg). The rest of the year tours are offered only in Swedish. 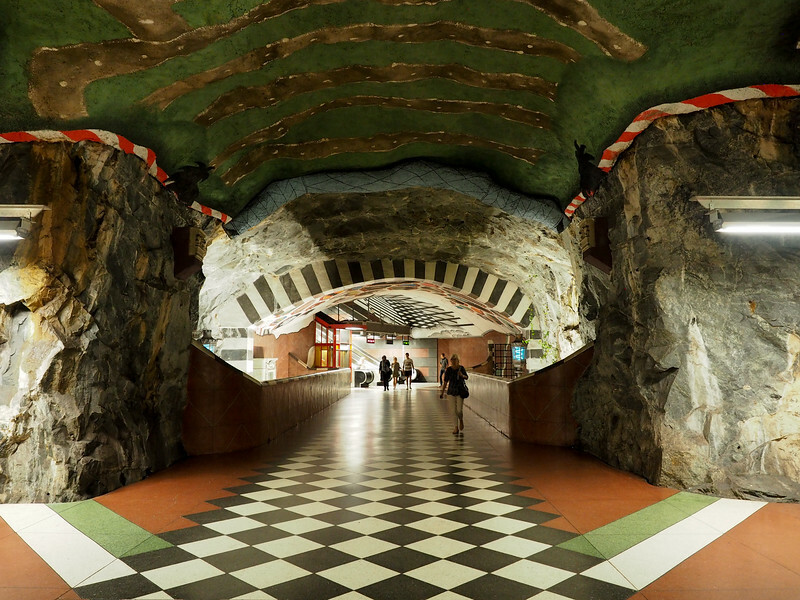 Who's ready to spend some time underground in Stockholm? I love this! What a fun way to spice up the subway stations. I agree! I don’t think I’d mind having to take the subway if I got to see stuff like this every day! Fantastic! Makes riding the subway fun, doesn’t it? It sure does! I had a fun few hours tracking down all this cool artwork! I used the subway in Stockholm and somehow managed to miss all these nice stations! Aww bummer! You’ll have to make a point of seeing some of them if you ever go back! Thank you for sharing this beautiful artwork. I enjoyed it immensely. Glad you enjoyed it – so did I! The rainbow one was my favorite, too! I think that sounds like an excellent idea! I went to Stockholm in June! And I was so fascinated with the Baltic Sea, the palaces and the museums, and everything else above-ground that I forgot to take a peek underground! I had a marvellous time in Sweden, and very much hope to go back again soon! And I pretty much only saw Stockholm! (That was the plan, though – I only had a few free days and decided not to try to cram too much in!) Next time you’ll definitely have to check out the subway. Wow, these are so fun to look at, really incredible! Stockholm looks like quite an artistic city! I mean even the subway stations are so beautiful. It’s kind of intriguing. I have been to Stockholm twice but never found time for the subway stops. That should be remedied. Thank you for the nice post. Next time you should definitely check them out! These places are unreal! Thanks for such a great guide, too. This makes it so easy to find all these. I don’t think I ever would’ve gone *underground* for entertainment! Now I know, lol. Wow! This is a brilliant idea to spice up an underground subway. I’ve never been here but I’m adding this to my radar. I was so glad I spent some time exploring! 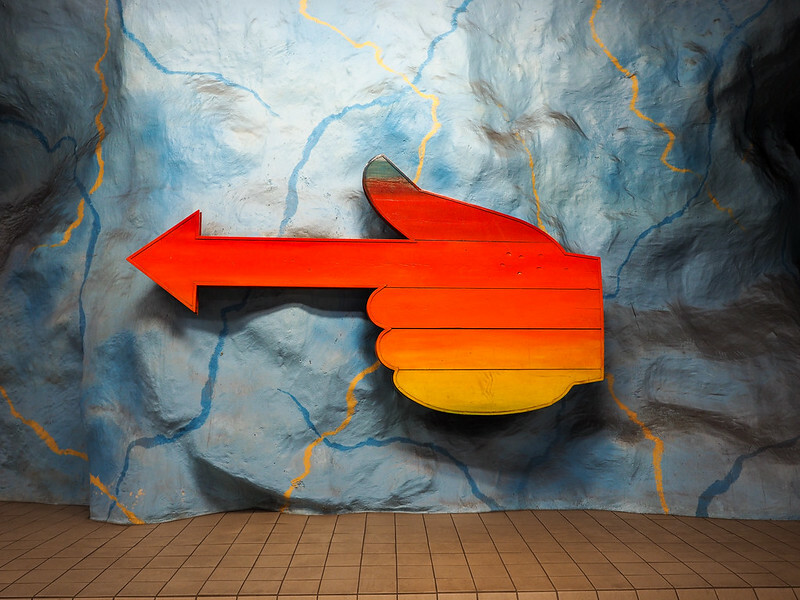 I didn’t know anything about the art on the subway stations in Stockholm until I accidentally stumbled across it. I’d love to go back after having done some proper research and really spend some time exploring them all. Great photos! Definitely something to check out more thoroughly next time! When I spent time in Stockholm ten years ago, I didn’t even know they had subway stations. Let alone such pretty ones! I need to go back to the city to check these out, I love it! Definitely a cool surprise in Stockholm! 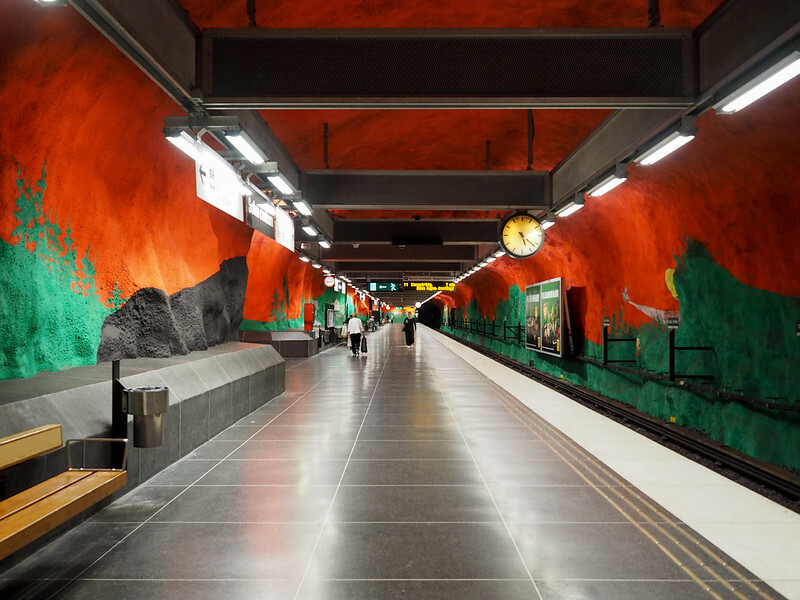 I’ve heard a lot about the subway of Stockholm has a lot of great design and now you’ve shared a lot of wonderful pictures of these subways. I wonder who started to think of this idea to design it in this special way. I’m not sure who came up with the original idea, but I’m sure glad they did! Great article and photos! I go to Stockholm every year to visit my brother that lives there. And using the metro there is such a joy. It’s very clean, modern and I love the beautiful art at the stations. It certainly does make commuting a bit more enjoyable than usual. What a great post. It’s 32 degrees C (90F) in STHLM today and I nearly melted on a bike ride. I live right by Rådhuset (look for the giant boot, too) but only ever use the blue line. This afternoon I will stay in the cool and tour the T-bana (or T-banana as my iPhone likes to call it). Sounds like a good way to spend a hot day! Great suggestions! We visited the ones suggested here and some more. Thank you to the author!!! Notes: You don’t need to buy a 24hr pass unless you want to go out of the stations. We did it with a single trip pass (the 75 min) and we spent about 5 hrs – the 75 min pass is good for how long you want unless you go out of the stations (the the 75 min count). We were starving after these 5 hrs. It is cold down there (the blue line). Avoid peak hours. Ah, it wasn’t clear you could use a single trip pass like that, so I played it safe and just got a day pass (plus, I was using it outside of this to get around Stockholm!). Good to know, though, and I’m glad you enjoyed the subway art as much as I did! Thanks for this interesting write up. I will be visiting Stockholm in a few weeks and based on your article, would like to see some of these stations to take photos. Do you happen to know if there are any restrictions about using tripods on the metro stations, eg, would security guards tell me tripods cannot be used inside stations without prior permission? I’m actually not sure about that, Phil! You might want to stop in to one of the SL Centers (the main customer info hubs) to ask before heading down into the subway with your tripod. Thanks for the quick reply Amanda, will try your suggestion and see what happens! 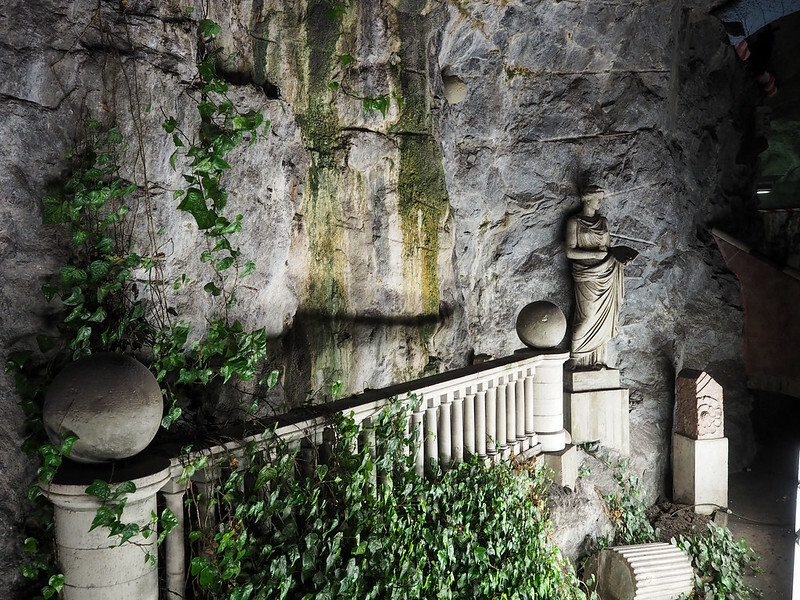 Wooow, this looks really amazing, something to remember for our visit … so even if you dont need a subway, go underground to check this out ! Yes! It’s worth riding the subway to a few different stations, even if you don’t necessarily have anywhere to go!